The central government had on January 29, 2018, notified the electoral bond scheme. It is like a promissory note that can be bought by any Indian citizen or company incorporated in India from select branches of State Bank of India. The citizen can then donate the same to any eligible political party of his/her choice. Issued in multiple values of Rs 1,000, Rs 10,000, Rs 1 lakh, Rs 10 lakh and Rs 1 crore, these bonds can only be encashed by political parties, which had secured at least 1 per cent of the votes polled in the most recent Lok Sabha or state election. 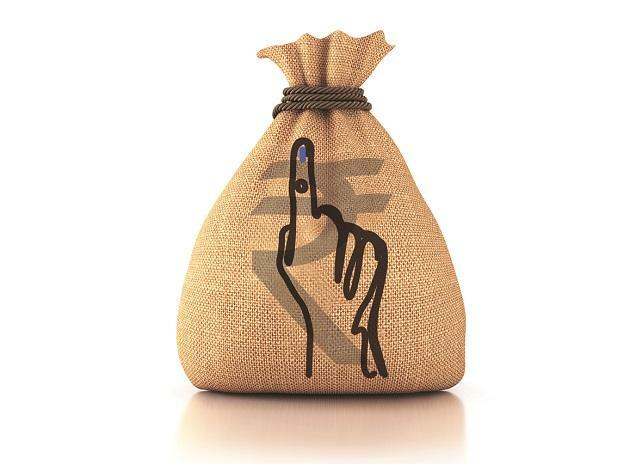 Monies received from electoral bonds will be deposited in a bank account verified by the Election Commission. All the transactions for electoral bonds can be done only through that account. Experts point out that electoral bonds are most likely the first-of-its-kind instrument in the world used for funding political parties. While the United States has Political Action Committees which receive money from individual and corporate donors and manage them, they do not have any scheme that allows the citizen to directly purchase a bond and donate the same to a political party. "The introduction of the electoral bond scheme is part of what appears to be a growing trend away from transparency and accountability, two values which were already sparse in relation to Indian political parties," said a Vidhi Centre for Legal Policy report, published in March 2018. Opponents to the scheme allege that since the identity of the donor of electoral bonds has been kept anonymous, it could lead to an influx of black money. Others allege that the scheme was designed to help big corporate houses donate money without their identity being revealed. Some experts, however, differ and say the idea of electoral bonds was never to entice big corporate houses into making political donations without being identified. "It is more for the individual donator and keeping a check on such scrupulous donations that could have come without any checks and balances," notes a legal expert, requesting anonymity, as the matter is sub-judice. In its order, the Supreme Court said that while it wanted to hear the matter at length at a later stage, for the interim it wanted a situation where the balance was not tilted in anyone's favour. It has asked political parties to reveal details of the donations they received through electoral bonds to the Election Commission. The poll panel, on the other hand, has been asked to keep all the details in a sealed cover until further orders of the top court. What is the future for electoral bonds? While experts are divided on whether the order provides for an answer to the issue of transparency that was raised by the petitioners, they say the interim arrangement will ensure that there is some transparency going ahead. "It would be interesting to see what stand the Election Commission takes going ahead when final hearings in the matter begin. One part of their objections over anonymity has been somewhat addressed," another expert notes.